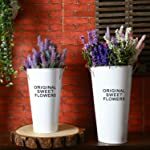 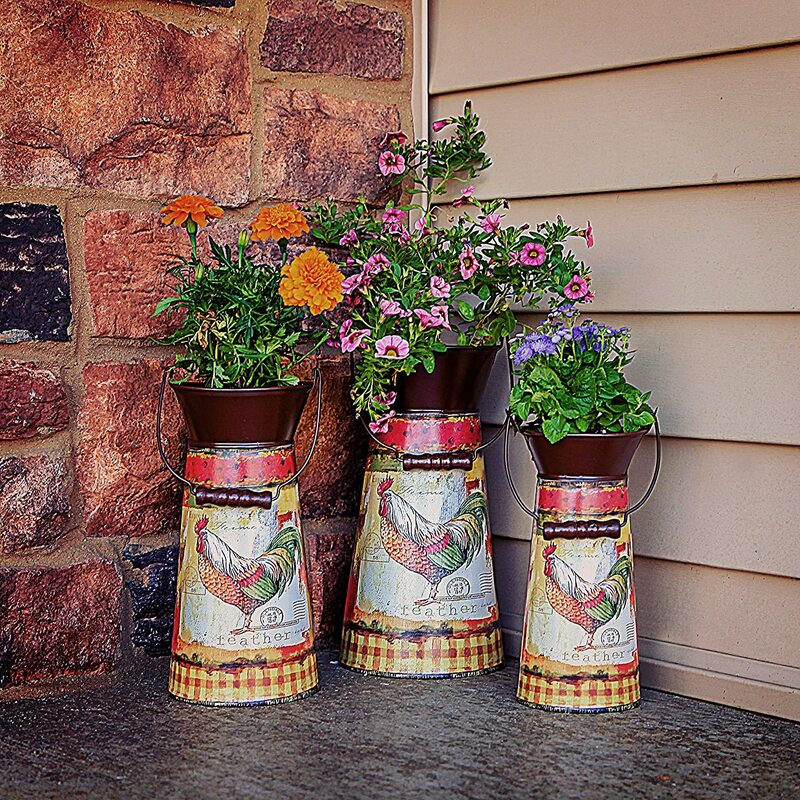 Stylish Flower Pots to Display Your Plants or Herbs in Your Garden, Kitchen, Balcony, Windowsill & Patio. 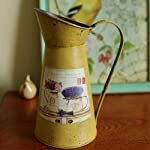 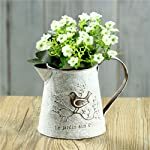 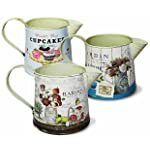 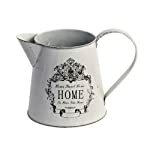 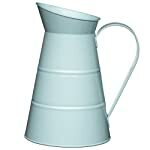 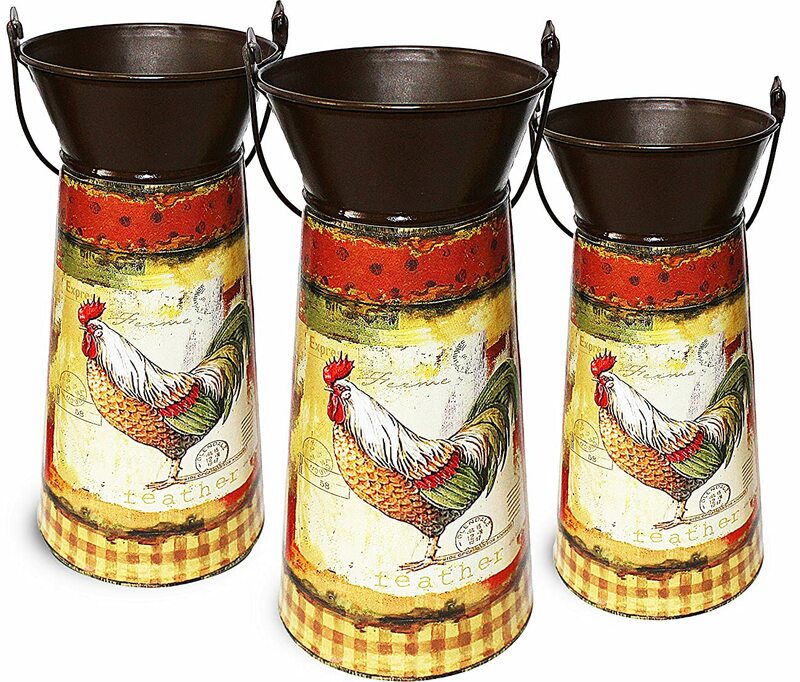 Great Housewarming Gift Set of 3 Decorative Vintage Style Metal Pitchers to compliment your potted flowers and plants. 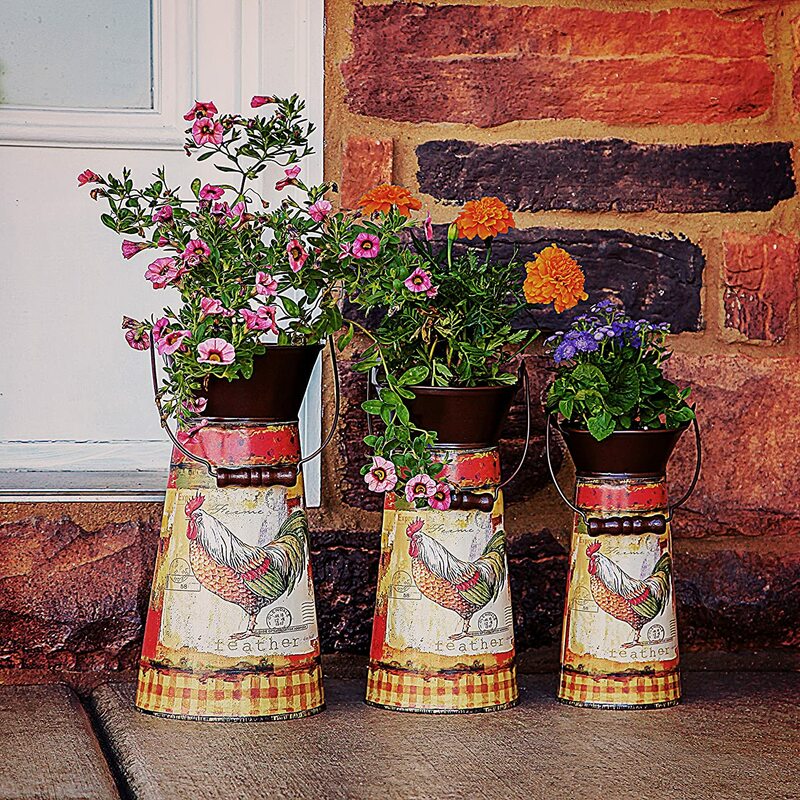 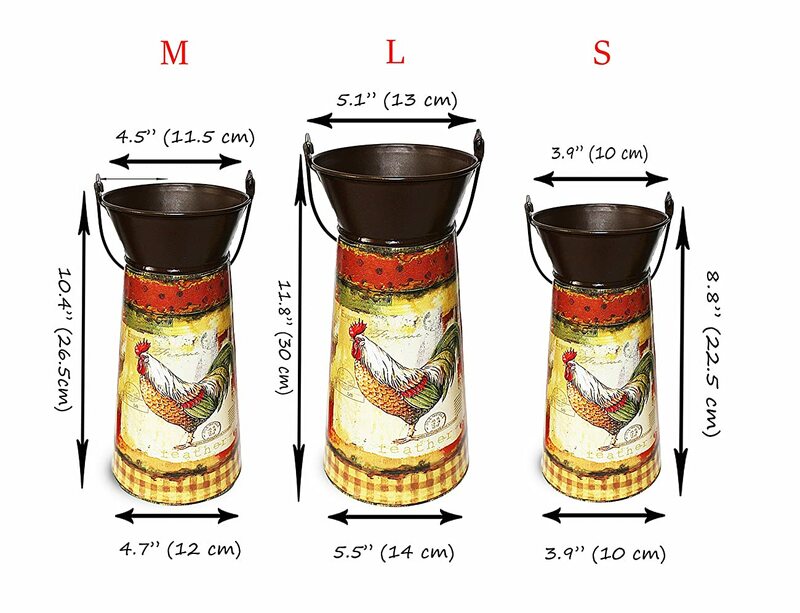 A great decor addition that will display your summer flowers in this beautiful Chic style. 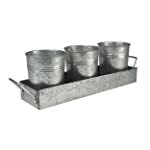 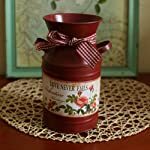 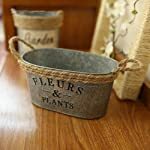 Attractive and useful display for keeping flowers, plants or herbs readily available. 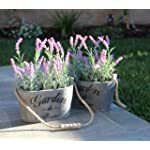 Designed to sit for outdoor or indoor. 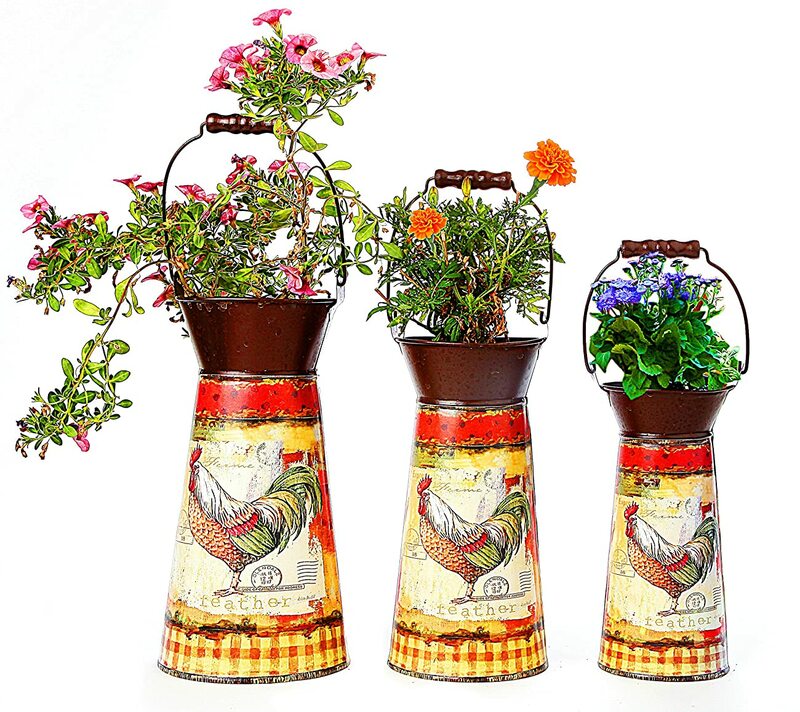 In your garden, balcony or porch, as flowerpot standing on a windowsill. 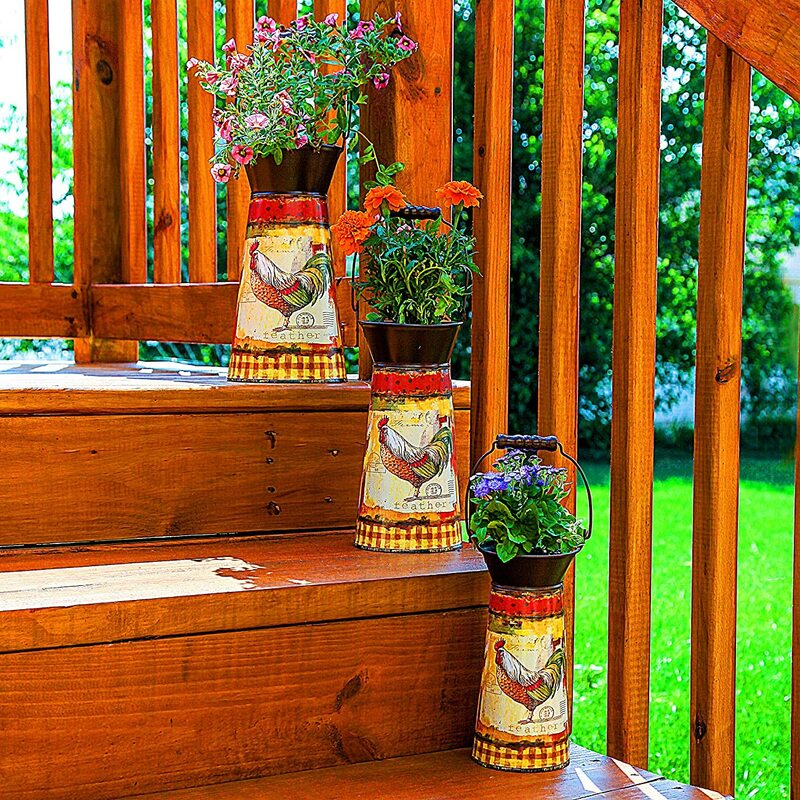 In the patio or on a deck. 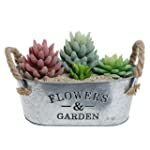 On kitchen window ledge to contrast with the beautiful perfection of flowers and plants, a stunning combination.